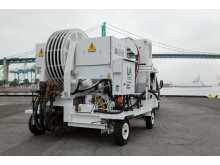 Maritime technology innovator Cavotec has won orders for multiple Alternative Maritime Power (AMP) shore-to-ship electrical systems at two of America’s premier ports, the Port of Long Beach and the Port of Oakland, supporting their continuing efforts to improve safety and environmental performance. “These projects are the latest stage in our on-going work to meet the growing safety and environmental demands of our partners in the ports industry on the west coast of the United States,” says Cavotec CEO, Ottonel Popesco. 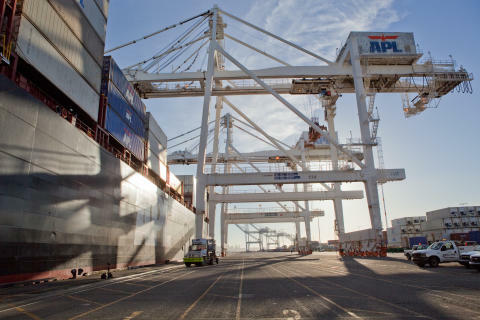 “With legislation regulating emissions at ports set to tighten in the years ahead, we anticipate continuing to work with our partners in the industry to ensure that these and ports worldwide maintain their position as leading environmental performers,” Popesco adds. 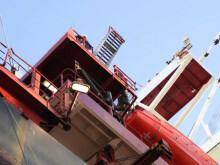 The Cavotec AMP equipment being supplied under these contracts includes shore power systems built into the quayside that enable ships to connect to grid-generated electrical power safely, quickly and easily. 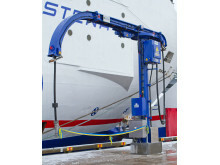 These units will also incorporate Cavotec’s innovative spring-assisted One-Hand-Lift Access Covers. 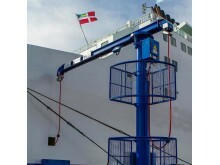 “Cavotec’s One-Hand-Lift Access Covers are safer than many alternatives that are currently available. Conventional systems include covers with very heavy lift weights, while Cavotec’s innovative system helps to avoid operator stress and injury by reducing these lift weights to a minimum,” explains Rob Thompson, Cavotec USA Inc. West Coast Manager. Cavotec engineers and naval architects have pioneered several AMP solutions including ship-based systems housed in shipping containers, land-based vault versions and mobile units for maximum flexibility. 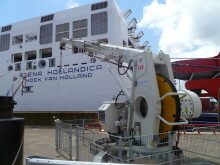 Cavotec AMP systems enable vessels to switch off their engines while docked and to connect to shore side electricity. 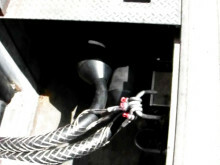 Services such as power supply for reefer containers, lighting, heating, food preparation and cargo handling are then run directly from the port. 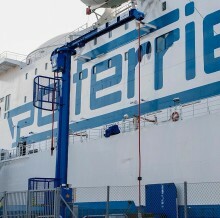 Switching off ships’ engines and connecting to grid-generated electricity reduces fuel consumption and dramatically cuts particulate matter emissions, thus helping improve air quality in ports and surrounding communities. Cavotec’s shore power systems are increasingly widely used at ports on the US west coast, as well as in Canada, Europe and the Far East. The first AMP system became operational at Sweden’s Port of Gothenburg in 1984. The Port of Long Beach, the Port of Oakland, and the Port of Los Angeles are among ports on the US west coast that have subsequently introduced the technology. In addition to shore power systems, Cavotec manufactures a diverse range of advanced technologies that help ports around the world to operate safely, efficiently and sustainably. 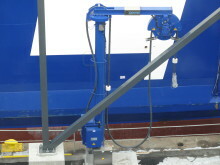 These products include automated mooring systems, Panzerbelt cable protection systems, crane controllers, marine propulsion slip rings, power chains and connectors, radio remote controls, motorised cable reels and steel chains. Cavotec is a leading global engineering group, developing innovative technologies that enable the maritime, airports, mining and tunnelling, and general industry sectors to operate productively and sustainably. 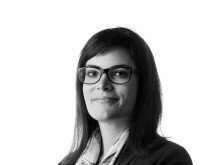 Luciano Corbetta, Cavotec Group Market Unit Manager Port & Maritime, is a guest speaker at this year’s Shoreside Power Conference, hosted and organised by Venezia Terminal Passeggeri and Ashcroft & Associates, to be held on April 26 at Marittima Terminal 103 in Venice. 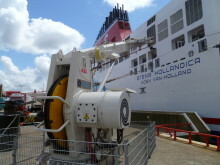 Swedish Environment Minister Lena Ek recently opened an innovative Cavotec Alternative Maritime Power (AMP) shore-to-ship electrical application at the Port of Ystad in southern Sweden - the largest high voltage shore connection in the world.